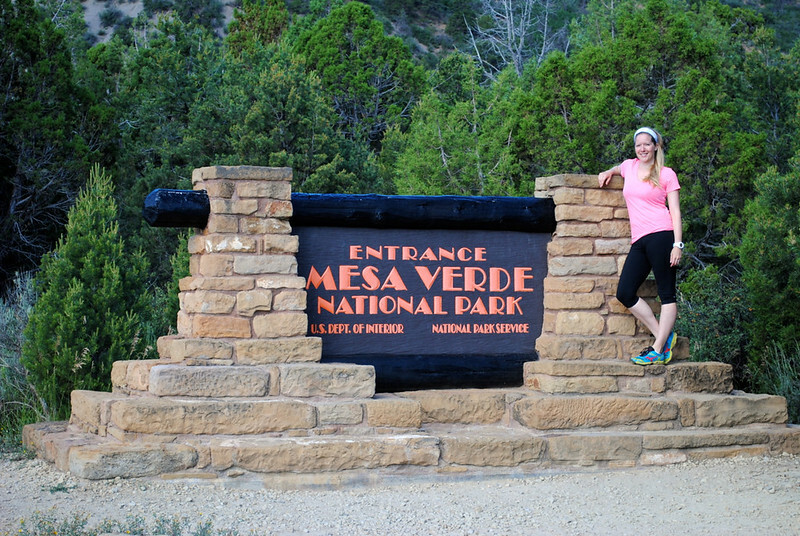 If there’s one place on our recent road trip that took us by surprise, it would no doubt have to be Mesa Verde National Park. A verdant patch in the southwestern area of Colorado, this site of Ancestral Puebloan people could be easy to miss. In fact, it wasn’t even on our initial itinerary! 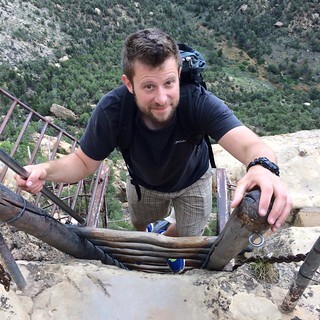 A good friend of mine and my husband’s often took a similar road trip with her family as a child, and she was adamant that we needed to see Mesa Verde for ourselves. Neither of us had any idea what to expect, but one of the best parts of any road trip is seeing and doing things simply on recommendation. 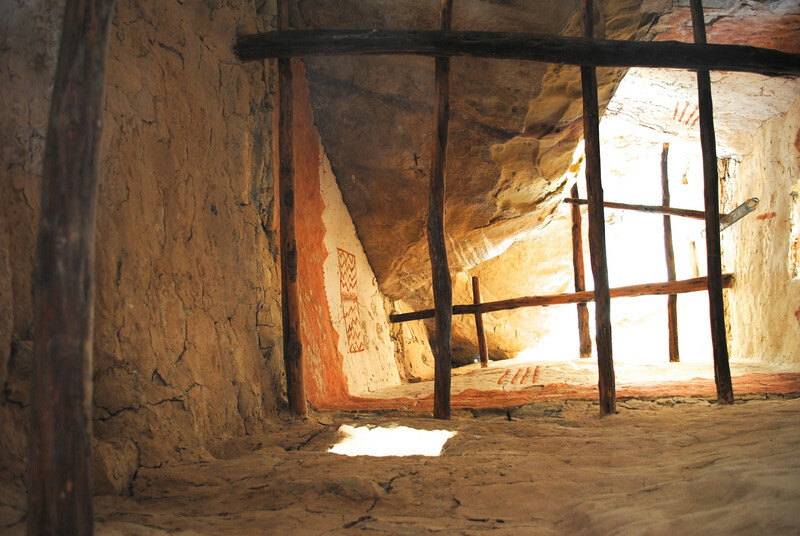 The park is home to more than 5,000 archaeological sites, mainly former dwellings of Ancestral Puebloan people. 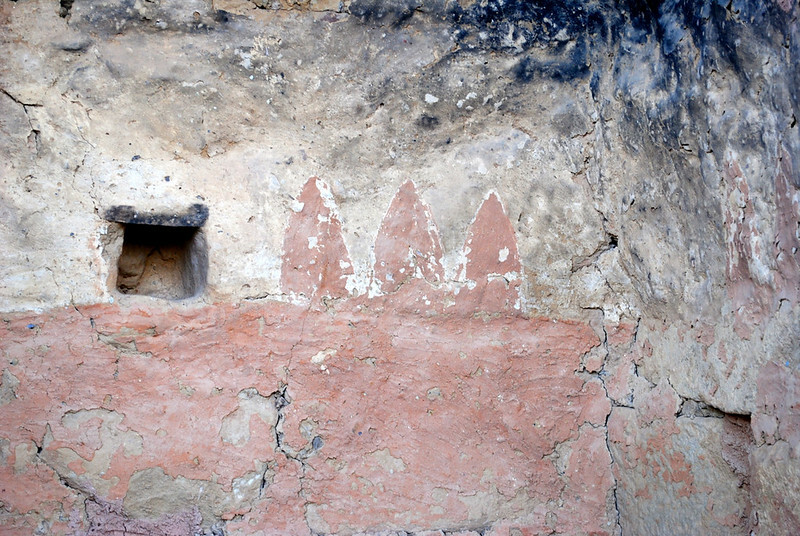 Between 600 and 1300 AD, these people etched our their lives first on top of the mesas and then within dwellings that hugged the canyon cliffs. 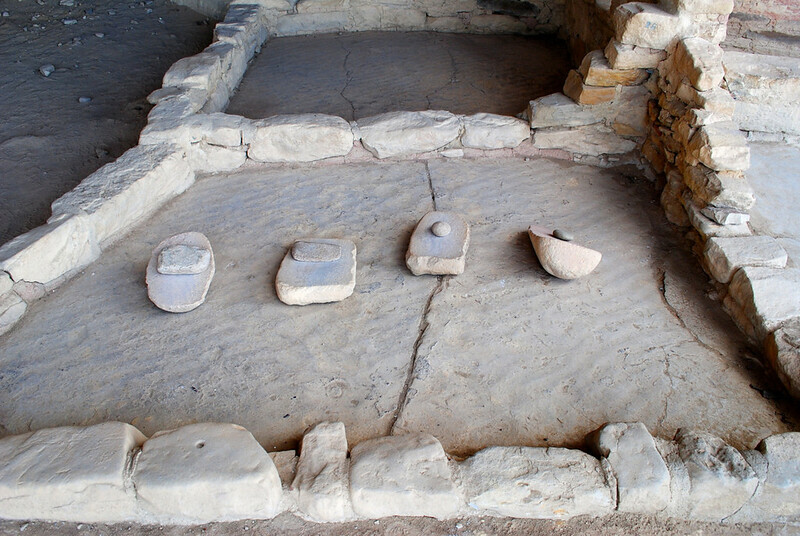 These dwellings varied in size and in use, and were home to a group of people that for about 700 years thrived by living off the land. 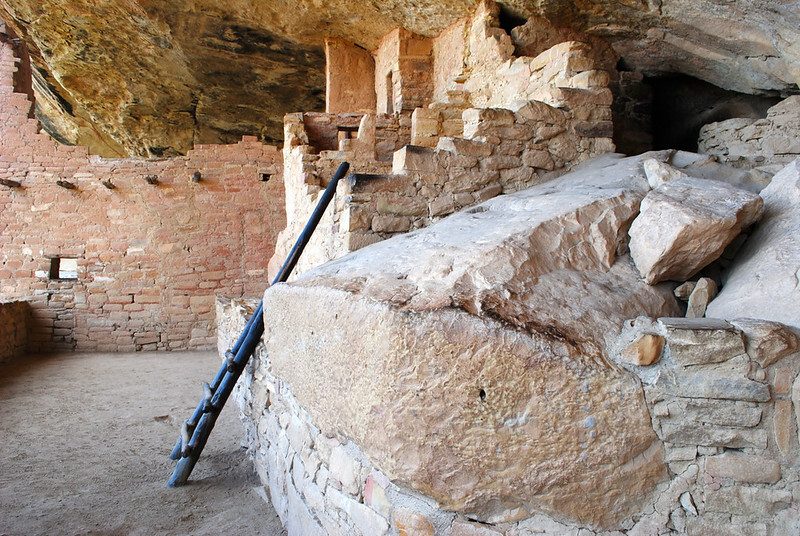 It was thought that they grew crops – mainly corn and squash – on the mesas. However, even today archaeologists cannot pinpoint exactly as to why they built their homes on these perilous cliff faces. Protection from the elements, security from other groups of people, and water sources were all potential reasons. When we arrived at the park, the first thing we did was check in at the visitor centre. 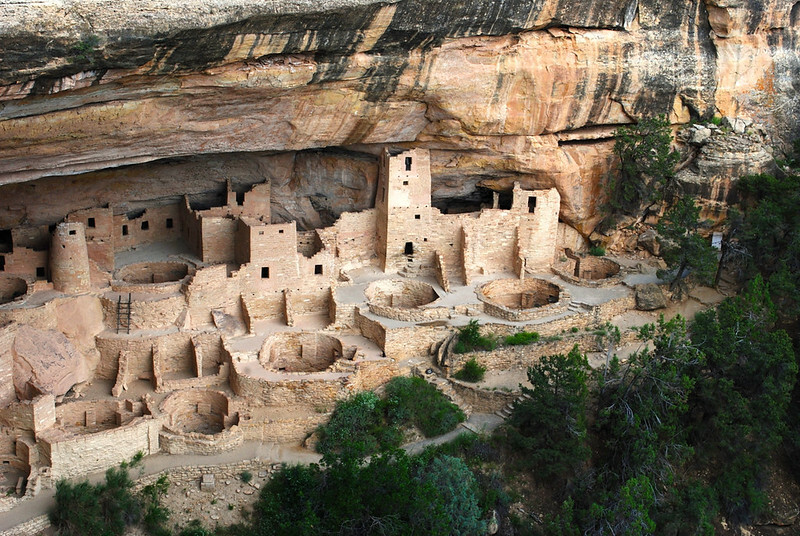 What makes Mesa Verde National Park so cool is that it’s largely a hands-on park. 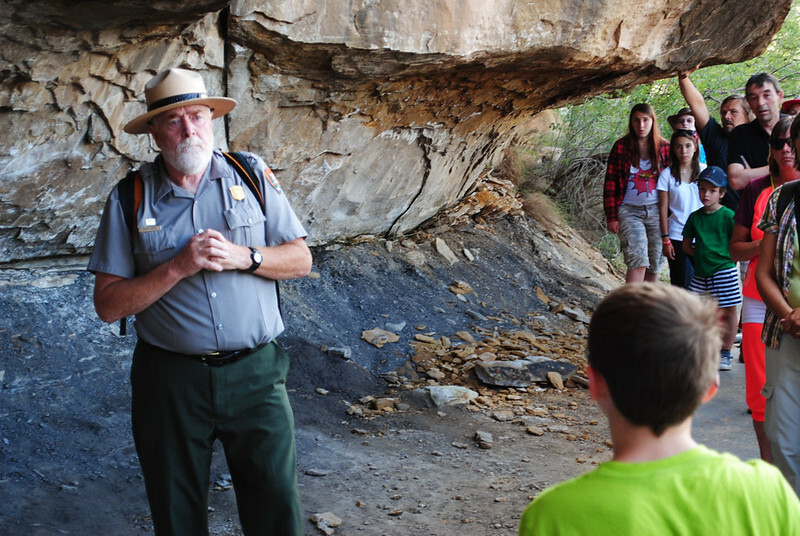 Under the guidance and care of a park ranger, many of the dwellings can be entered and explored. However, to tour the most popular dwellings such as Cliff Palace and Balcony House, tickets are required. After grabbing our tickets, J and I set up camp and headed for Balcony House. There we met up with our group and were led by an incredible park ranger, appropriately named Brian Forist. Touring the dwellings isn’t for those who fear heights or small spaces. 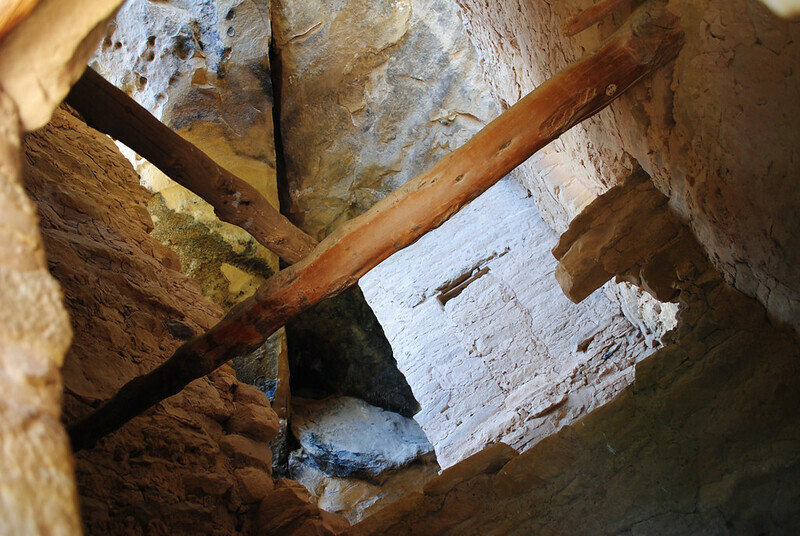 Access to Balcony House was via a three-storey ladder and the exit involved crawling through a narrow space before scrambling up a sandstone wall. Brian kept us all rapt with his stories and facts about the Ancestral Puebloan people, and made sure to season the tour with his entertaining sense of humour. After a short break, we pressed on to Cliff Palace. 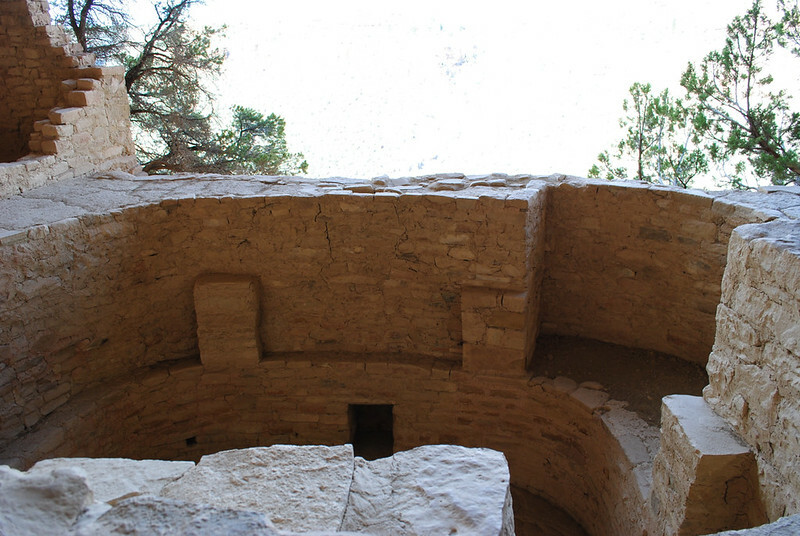 Probably the largest archaeological site in the park, Cliff Palace was simply mesmerizing and it was thought to have been a social “hub” for the Ancestral Puebloan people. Towards the end of the tour, I was able to look up through one of the windows and see actual painted artwork that remains intact centuries later. Following a stimulating campsite dinner of soup, cheese, and crackers, we grabbed our headlamps and a blanket and found a seat at the amphitheatre. 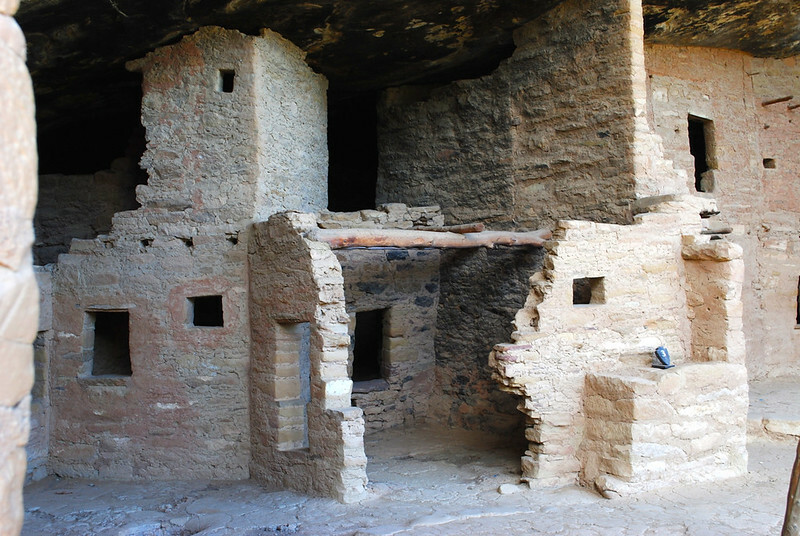 Most park rangers are brimming with interesting facts and anecdotes about the parks they work in, and Mesa Verde’s park rangers were no exception. At dusk we were treated to a presentation on where the Ancestral Puebloan people may have come from at one time, an intriguing wrap-up to a day jam-packed with history. The campground and facilities were among the most exceptional we’d encountered at any national park at that point with free hot showers and even wifi in each of the campsites. Another bonus: we were able to drive around and choose the site we wanted. Thankfully a few of the loops were designated tents-only, so we were able to avoid RVs with loud generators. An extra day at Mesa Verde would have been perfect, as we were only able to tackle about half the park in the day we were there. Like most places we were fortunate enough to experience, this is no doubt a park we’ll return to one day. 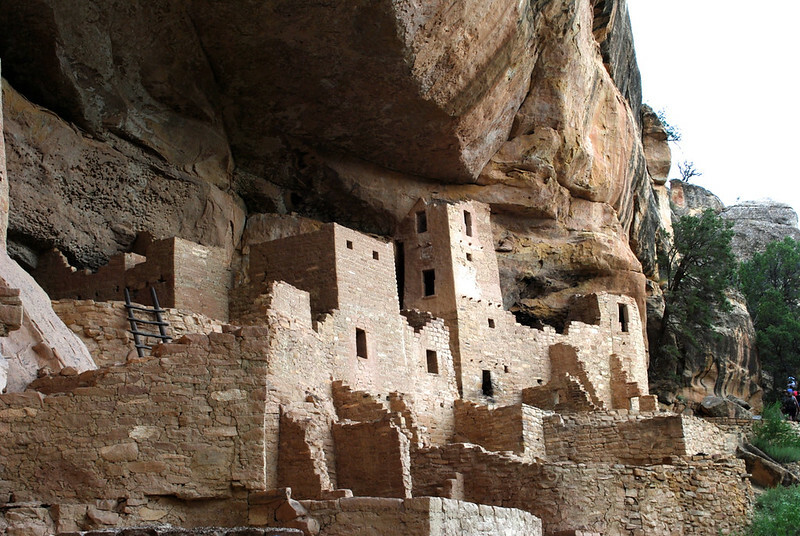 For more information on Mesa Verde National Park, please check out the park’s official website. 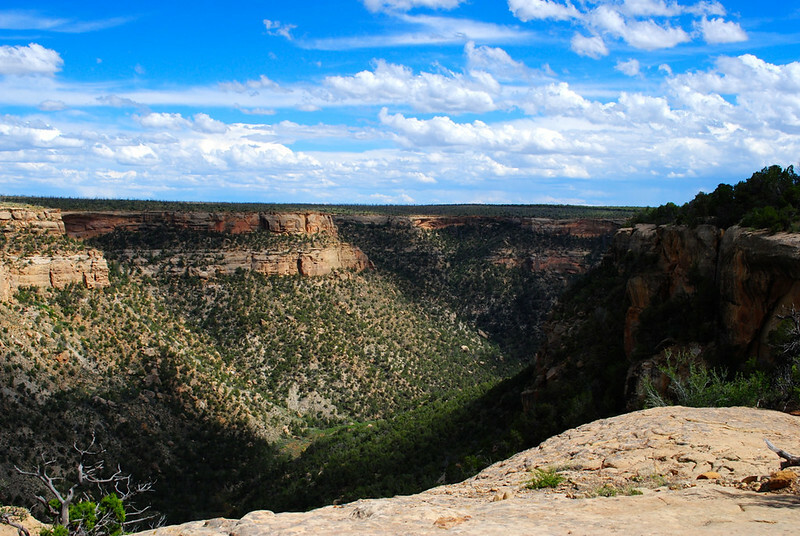 Accommodation: Morefield Campground located within Mesa Verde National Park. Would I Stay Again? : Definitely! It was one of the nicest campgrounds we have ever camped in and features exceptionally private sites. When I went to Italy I toured ancient cave dwellings in Sassi di Matera. The Sassi originate from a prehistoric troglodyte settlement and are suspected to be among the first human settlements in Italy. 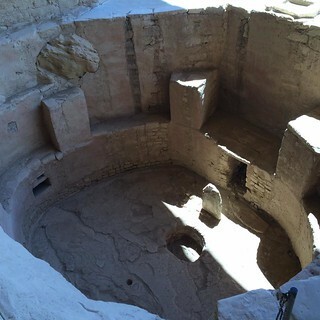 There is evidence that people were living here as early as the year 7000 BC. I was overwhelmed knowing I got to walk on a path of stone worn so smooth and shiny from so much history. Wow – thanks for the comment, Brian! It was a pleasure to go on the tour with you.